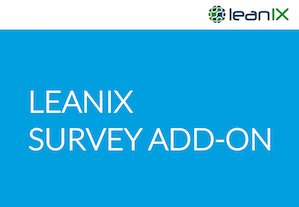 LeanIX Survey allows you to create surveys regarding all aspects of the IT landscape. The captured data is immediately integrated into the LeanIX repository. Improving data quality and collecting data for urgent ad-hoc requests has never been easier. This presentation shows how to design, run and analyze Surveys in LeanIX.